KU scientists have amassed 10.2 million specimens of plants and animals — prehistoric to living species, microscopic to colossal — gathered from every continent and ocean. This collection has attracted world-renowned paleontologist K. Christopher Beard. 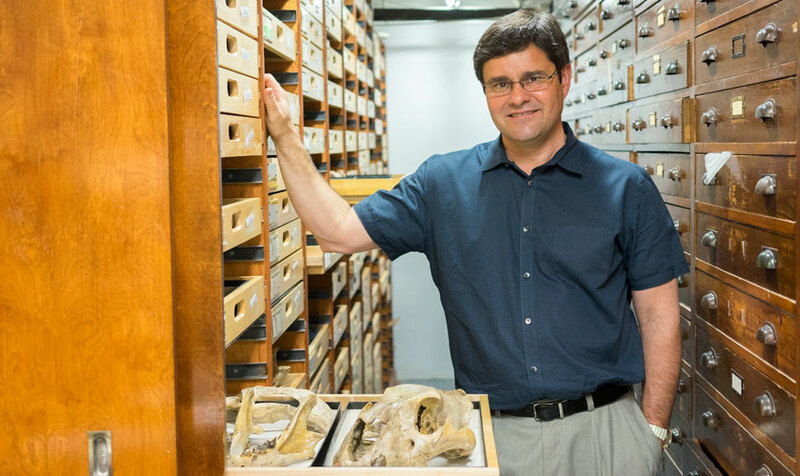 Beard, who spent 25 years at Pittsburgh’s Carnegie Museum of Natural History, joins KU as Foundation Distinguished Professor of Ecology & Evolutionary Biology and senior curator at the KU Biodiversity Institute. Beard’s peers describe him as “one of the most important vertebrate paleontologists of the last 30 years” and “the most brilliant of his generation.” He is a 2000 MacArthur Fellowship “Genius Award” winner, and his discoveries of new primate groups have reshaped our understanding of the early history of mammals.